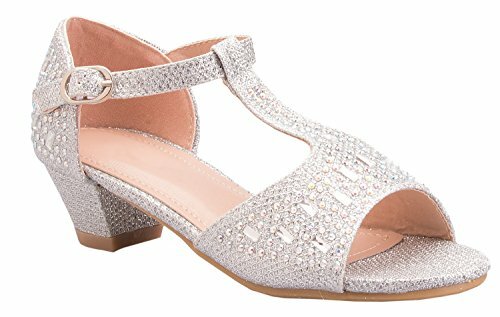 These dazzling open toe wedges are covered in glitter and rhinestones. This wedge also has a t strap for a custom fit that is embellished in glitter and rhinestones as well. These amazing shoes are perfect for any dress occasion. If you have any questions about this product by OLIVIA K, contact us by completing and submitting the form below. If you are looking for a specif part number, please include it with your message.